As the death toll in Iran rises to a reported 39 casualties and the number of arrests exceeds 1500, social media has been awash with messages about the protests. To read some of the so-called experts based in the West, you hear one story, but if you read the posts of people on the ground, their words tell a very different and much more revealing perspective. Unsurprisingly, President Trump’s tweets that have received the most attention. 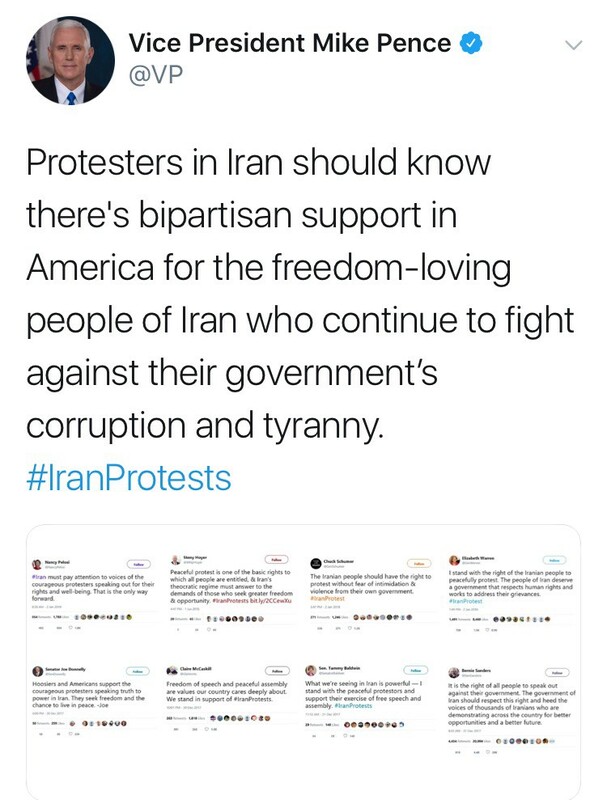 He has condemned the regime for its corruption, malfeasance, and support for terror but more recently for shutting down access to the Internet: These messages are notable, not only for the content, but because their frequency and timing seems to indicate that the protests have captured Trump’s attention. As someone known for his sharp tongue, his empathetic language and reasonably moderate tone seems out of step with his character. 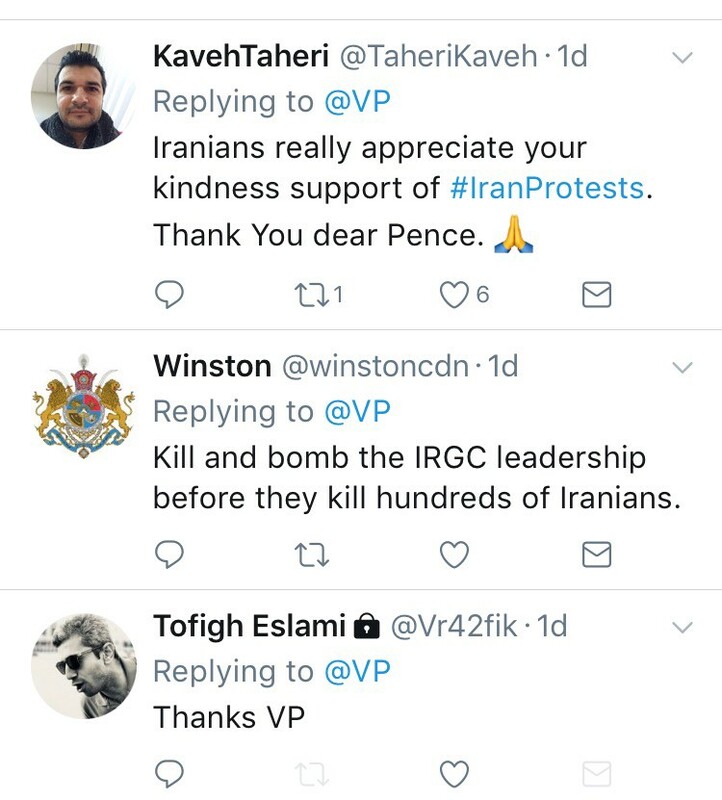 In addition to the president, Vice President Mike Pence has stepped in, offering measured, positive messages directed at the people rather than attacking the regime. These complement a powerful op-ed that he published in the Washington Post and his recent interview on VOA Farsi. In all these expressions, the Vice President has avoided challenging the Islamic Republic and instead spoken directly to the people of Iran. In a departure from the typical partisan posturing that has characterized the Administration, Vice President Pence also has made a deliberate effort to show the Iranian people that American support is bipartisan and nonpolitical. Indeed, a number of iconic leaders from the other side of the political spectrum have echoed the sentiments of the Administration. The list includes former presidential candidate and Senator Bernie Sanders, former US Secretary of State Hillary Clinton, and even Senator Elizabeth Warren, who is branded as one of the most liberal players on the political spectrum stated “people of Iran deserve a government that respects human rights and works to address their grievances.” Their alignment with the Trump Administration is a stark departure from the regular ideological divide that grips Washington. But these nonpartisan statements stand in remarkable contrast to some observers who have used the moment, not to express solidarity with the protesters, but to score political points. Some, including Ambassador Samantha Power and US Senator Tim Kaine, have used the opportunity to question whether the Trump Administration truly supports the Iranian people in light of the highly problematic Travel Ban that targeted Iranians. Others have suggested that the best way for President Trump to help the Iranian protesters would be silence. Former US Secretary of State John Kerry echoed this rationale, suggesting a strategy of non-interference rather than siding with the protesters. And Trita Parsi of the National Iranian American Council claimed that President Trump’s posture is about little more than negating the JCPOA rather than a genuine statement of solidarity. But who is not asking these questions or making these points? Who is not trying to score political points or re-litigate old arguments? The Iranian protesters themselves. To the people bravely marching in the streets, the statements of support have hardened their resolve and energized their cries for freedom. Persian language Twitter users have exulted in the expressions of solidarity. 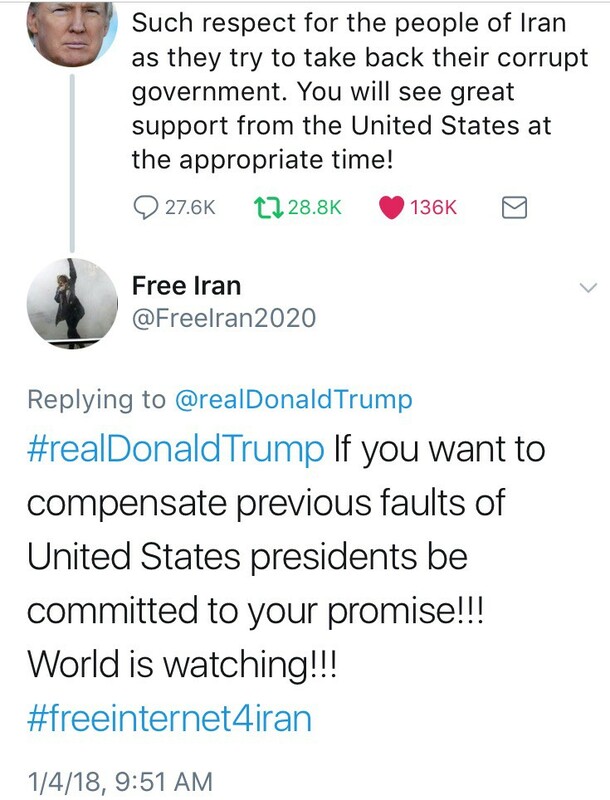 Social media users in Iran have responded positively to the statements of American political leaders. Reading their Facebook posts and tweets, one is moved by the outpouring of gratitude for the US position. 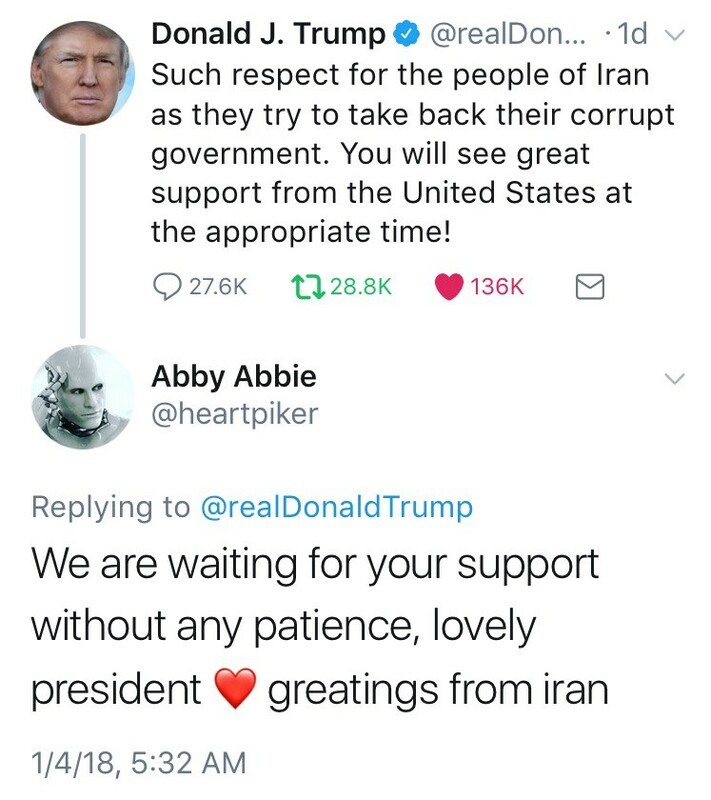 They are doing so in their own way, using Persian mannerisms, humor, memes and simple words of thanks. It seems worth noting that we did not see such expressions of warmth in 2009 when the Green Revolution roiled the streets of Tehran. In that moment, a larger and more concentrated set of demonstrations asked American leaders for help. They sought out President Barack Obama, both because he occupied the Oval Office but also because of his powerful appeal to the next generation. In that moment, the protesters asked Obama if he was with them or not. His inexplicable failure to respond loudly to their call for help and enact new policies to support the movement, led many Iranians to believe that President Obama actually was collaborating with the clerics. 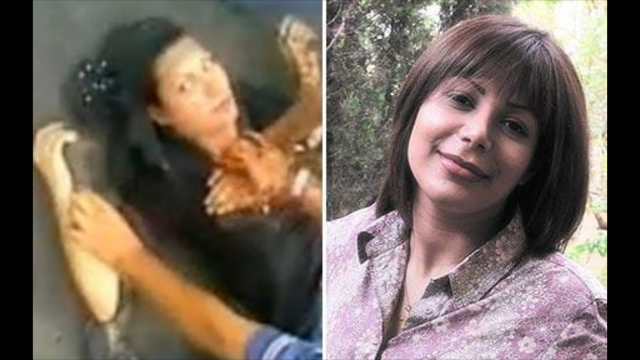 In those difficult days, many were arrested, beaten, and even killed including most notably, Neda Agha Soltan who was shot dead while protesting the elections in Tehran. Many believe that his silence facilitated the ability of Mahmoud Ahmadinejad to stand by the fraudulent election and steal the Iranian presidency. 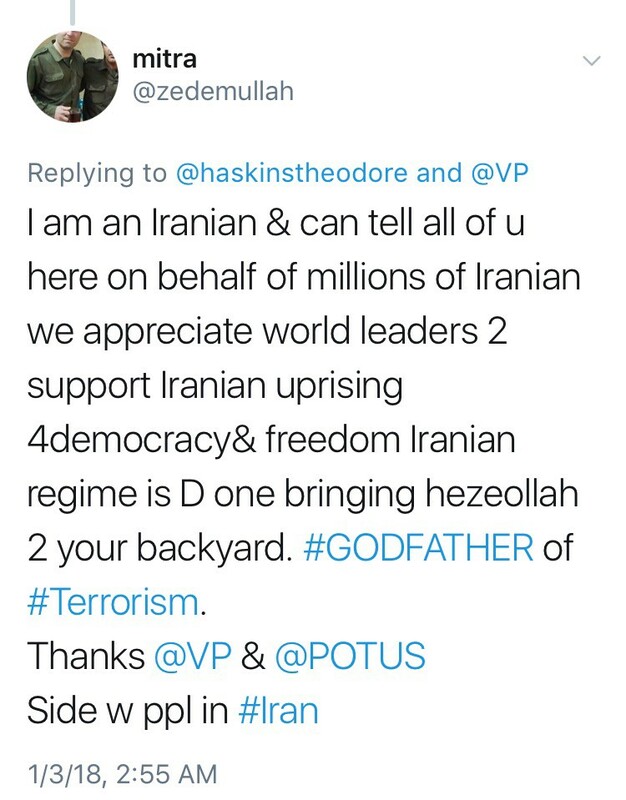 Interestingly, while the critics offer little alternatives to the current course of action used by the Trump Administration, they do seem to be echoing the talking points of the clerics in Tehran. Secretary Kerry’s message sound eerily similar to the recent remarks made by Iran’s Interior Minister made on Press TV who focused on the fact that Israeli and American politicians lack an understanding of the Iranian people rather than address the actual needs of the Iranian people. 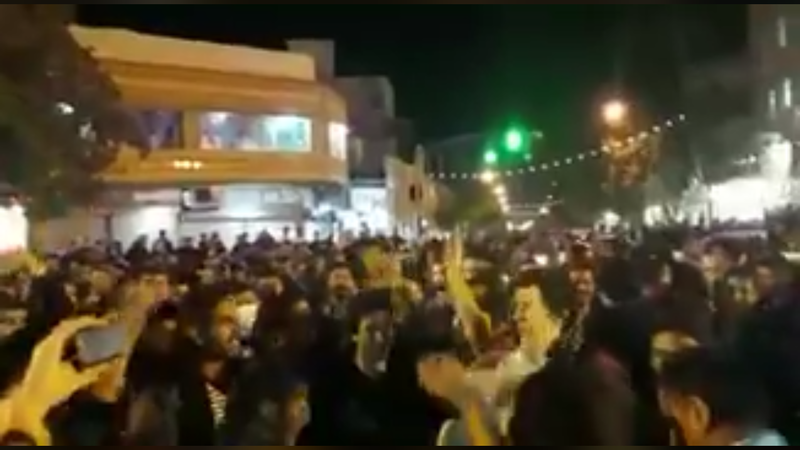 And other Iranian leaders have pointed to the lack of support from European countries for the protesters to make wild, groundless accusations like the claim that foreigners, namely the US and Israel, are responsible for the protest movement. Indeed, recent days have revealed a clear difference. For years, many in the US have argued about the nature of the so-called reformers in the Islamic Republic. They have quibbled about who has the upper hand, clerics like Khameni or bureaucrats like Rouhani. But recent days have revealed that there are real changemakers in Iran — the brave men and women marching in the streets asking for their freedom. These reformers are embracing the support of American leaders on social media. All of us would be wise to heed their cries. Born and raised in Iran, Marjan fled the country as a teenager. She advocates for human rights in Iran through Alliance for Rights of All Minorities (ARAM).